Creeds are statements of our basic beliefs about God. The term comes from the Latin credo, meaning I believe. 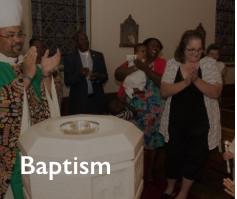 While we will always have questions about God, the Church, and our own faith, we have two foundational creeds that we use during worship: the Apostles’ Creed used at baptism and daily worship, and the Nicene Creed used at communion. In reciting and affirming these creeds, we join Christians across the world and throughout the ages in affirming our faith in the one God who created us, redeemed us, and sanctifies us.